Pangeabed Queen Copper Pillow Review was recently completed by the MattressJunkie.com team. 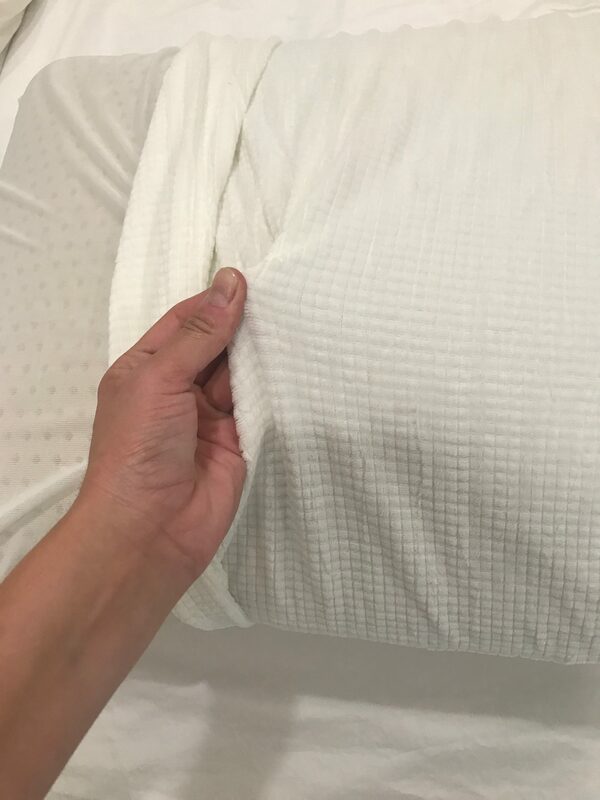 Pangeabed wants you to sleep cooler and cleaner with their copper infused, talalay latex, mattress and pillow. We recently reviewed the Pangeabed Mattress and really liked it. talalay latex is flash frozen in the pouring process and that controls the firmness of the material. Talalay latex is resilient, bouncy, breathable, and incredibly durable. Infused with copper, Pangeabed Queen Copper Pillow is naturally antimicrobial. The human body produces 26 gallons of sweat per year. Having a clean sleeping surface is critical for allergies and overall health. Pangeabed aims to keep you sleeping healthier and cleaner with their mattresses and pillows. Check out how the Pangeabed Queen Copper Pillow stacked up in the review process. What sleep position is best for the Pangeabed Queen Copper Pillow? Any sleep style works great with the Pangeabed Queen Copper Pillow. The talalay latex is light and fluffy and will conform to your head nicely with any sleep style. Holes drilled into the latex allow airflow to pass through nicely so you don’t have to worry about heat retention. In addition to being antimicrobial, copper also has natural cooling properties that help dissipate heat. You shouldn’t have any issues with sleeping hot on the Pangeabed Queen Copper Pillow. Tell me more about Pangeabed Queen Copper Pillow cover. Pangeabed Queen Copper Pillow has a cotton, polyester blend cover. The cover easily unzips and can be washed in the washing machine. How much does the Pangeabed Queen Copper Pillow cost? Pangeabed Queen Copper Pillow comes in queen size and cost $125. Does the Pangeabed Queen Copper Pillow have a warranty? Pangeabed offers a 60 night sleep trial on the Pangeabed Queen Copper Pillow so you can get a full refund if you decide it’s not for you. Would we recommend the Pangeabed Queen Copper Pillow? 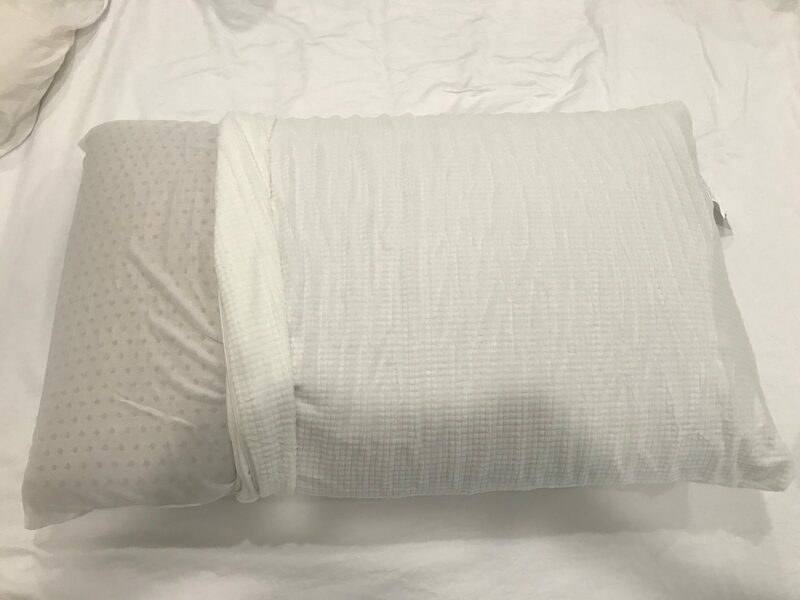 With all the allergy issues that so many people suffer with, Pangeabed Queen Copper Pillow is a great way to ensure you are sleeping in a clean environment. Talalay latex is very high end and once you try it, you realize what you have been missing out on. These pillows are now on my bed every night since I loved them so much. The added benefits of copper and sleeping cleaner are a huge benefit for those suffering with allergies. 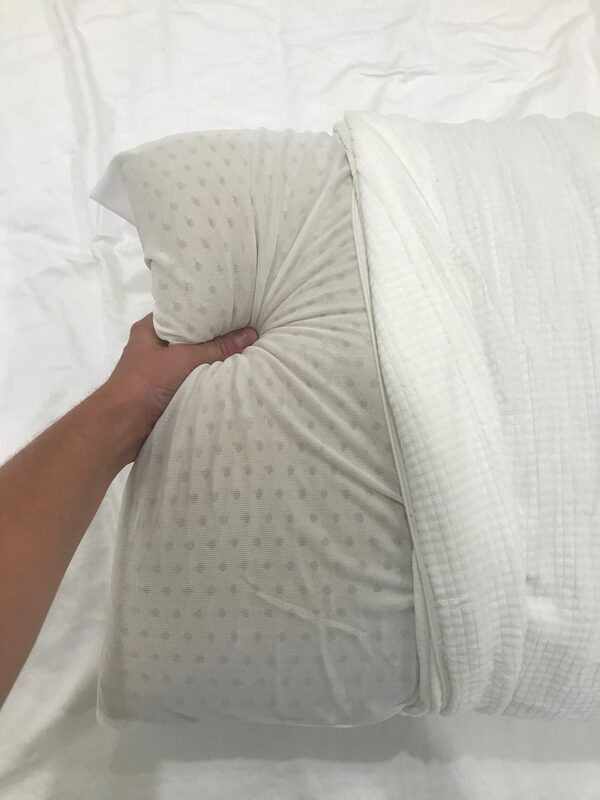 If you need a nice pillow and want to get something clean, cool, and comfortable, Pangeabed Queen Copper Pillow is a great option. Learn more about the Pangeabed Queen Copper Pillow here…..